Stargazers and general art-seekers will be able to peek into ‘The Observatory’ this July, an illustration exhibition featuring 42 graduate illustrators from the Arts University Bournemouth. 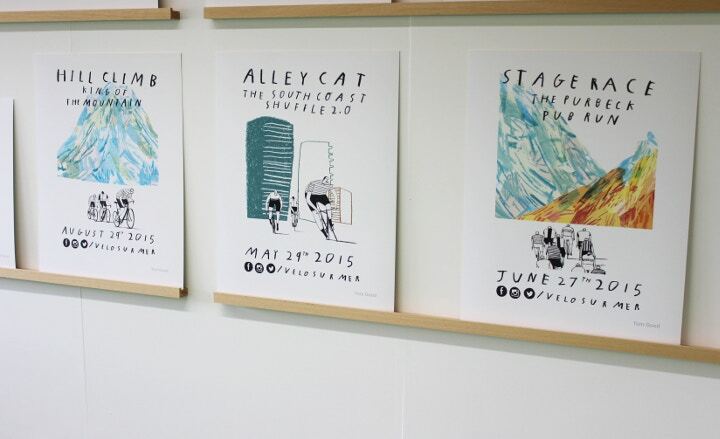 Located at The Rag Factory, in the heart of East London’s Brick Lane, these illustrators will be exhibiting work across a diverse range of platforms, encompassing drawing, animation, printmaking and model making. Fresh from the BA (Hons) Illustration Course at the Arts University Bournemouth, these graduates have spent the last three years honing their skills and sharpening their teeth. The BA (Hons) Illustration course, known for its diverse and multi-disciplinary approach to illustration, has produced many successful graduates over the years, including Emily Hughes, Tom Hovey, Debbie Powell, Amy Harris and Elissa Elwick. Laura Schofield employs her distinctive and colourful imagery to raise awareness of key issues, in particular those surrounding ecology and the natural world. 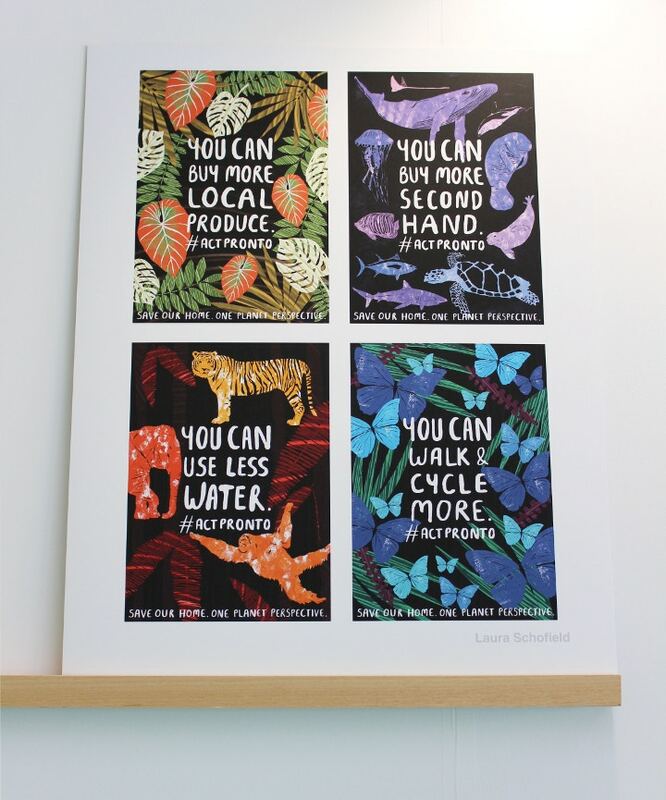 She has combined printmaking, collage and Photoshop to create a series of four striking posters, highlighting how even the smallest changes to our lifestyles can help to preserve our planet. Identical twins Liv and Dom Cave-Sutherland work together to produce their eye-catchingly playful plush toys and models. Using their unique and well-developed visual language, the girls use their work as a platform to comment on contemporary society. Liv and Dom are also budding entrepreneurial illustrators, and they will have a variety of items for sale in ‘The Observatory’ Shop. 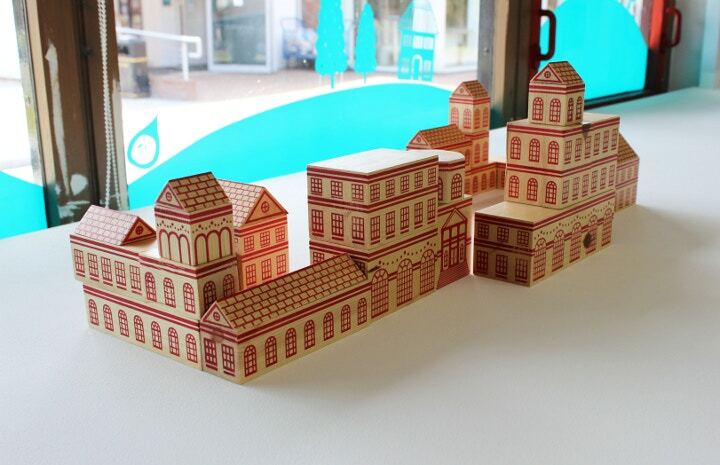 Fascinated by detail, illustrator and paper engineer Amy Bellinger will be exhibiting two of her delightfully intricate model buildings. Primarily interested in stately homes and classical architecture, Amy’s work currently focuses on buildings that have been damaged or destroyed. The Observatory’ is open to the public on Friday 10th and Saturday 11th July from 10am to 10pm, and on Sunday 12th July from 10am to 5pm. ‘The Observatory’ is open to the public on Friday 10th and Saturday 11th July from 10am to 10pm, and on Sunday 12th July from 10am to 5pm. Visit their website for more information or click on each individual artist's name for more information on their work: Laura Schofield, Thomas Good, Liv and Dom Cave Sutherland and Amy Bellinger. Use the hashtag #StudentSpotlight on Twitter to follow our Degree Show spotlight. Image Credits: The photos are from the Arts University Bournemouth Higher Education Summer Show, not ‘The Observatory’ exhibition.